Leicester visit the London Stadium. Does anyone want to finish seventh this season? Wonders will never cease. We kick off at 3pm on a Saturday. How many times does that happen in a season? I haven’t checked the numbers but it seems to me that it happens fewer times as each season goes by. Perhaps today was always destined to be a 3pm Saturday kick off as in many ways (if you disregard the dubious honour of the chase for seventh place in the Premier League) this was always going to be a game that didn’t involve the top or bottom. Of course seventh place could mean a place in Europe in the Europa League, but as Arsenal and Chelsea have found out this season after progressing to the semi-finals of this competition, it means even fewer Saturday 3pm starts. It wouldn’t have taken much more for us still to be in contention for a seventh place finish this season, and I suppose mathematically it is still possible. But Leicester, Wolves, Watford, Everton and ourselves have all demonstrated an inconsistency of performance that shows why we are all so far behind the elite six at the top of the table. I thought that Everton looked destined for the honour after their recent run. They looked as good in our last home game as we were woeful. But then last week they went down to Fulham who haven’t won a game for ages. Leicester currently hold the position, but the four teams realistically likely to finish seventh are only separated by one point, and both Watford and Wolves have a game in hand. But with all the teams faltering to some extent, any team that can put together a winning run could get there, even ourselves, although this doesn’t seem likely. Of course it would have seemed more likely if VAR had been in operation at Old Trafford last weekend. Once again we witnessed a “bigger” team getting the benefit of close calls. It never seems to happen the other way round, especially at grounds like Old Trafford where officials seem to me to give disproportionate numbers of close decisions to the home team. I haven’t looked at the statistics but I reckon Manchester United have been awarded more spot kicks than most this season. We totally outplayed United in my opinion, and deserved all three points but thanks mainly to the officials it wasn’t to be. VAR came into its own in midweek when I believe it helped to get the decisions correct in a big game in another part of Manchester. As a long term advocate of the use of video replays I was pleased to see it used to good effect. Of course, many West Ham (and Arsenal) fans would have preferred it not to be the case when Sterling’s “winner” in time added on turned out not to be a legitimate goal because Aguero was offside in the build-up. But leaving loyalties aside, I for one am pleased that VAR is beginning to prove itself, and look forward to it next season. It could be improved if, as in rugby union, the referees were “miked up” to explain what was happening. So, on to today. It seems that Nasri is once again unavailable due to injury, and Lanzini likewise, making a dent in the creative capability in our midfield. But apparently Wilshere is fit again so perhaps he will come in and start to show why we bought him. Hernandez is also unavailable because he couldn’t train this week with a problem with his ear. I had given up predicting the team our manager would select but I’ll have another go this week. Fabianski, Fredericks, Balbuena, Ogbonna, Masuaku, Rice, Noble, Snodgrass, Antonio, Arnautavic, Anderson. How many will I get right this time? With thanks to the Daily Telegraph I see that there hasn’t been a draw in the Premier League for about a month (34 matches). And 0-0 games are at their lowest level with just one in twenty games ending goalless. It seems that teams aren’t happy to “settle for a point” these days. What will happen in the match today? Our last but one game was a 4-3 thriller, and of course there was a similar scoreline in midweek in Manchester. Perhaps another one today? The odds on that are around 80/1, with a West Ham win at about 2/1, and a West Ham win with both teams to score around 4/1. Author Richard BennettPosted on April 20, 2019 April 20, 2019 Categories Match, News, PreviewLeave a comment on Leicester visit the London Stadium. Does anyone want to finish seventh this season? As a long and disjointed West Ham season takes another stuttering step towards a disappointing and lingering end, is there any enthusiasm left in the locker to make an holiday afternoon of it? The race to avoid seventh place hots up at the London Stadium this afternoon as West Ham host Leicester City, the team currently holding pole position in the polite scramble for a possible Europa Cup berth. The Hammers recent poor run has effectively ruled them out of contention but we live in a world of mathematical possibilities. Considering recent performances, it wouldn’t come as any surprise if our boys failed to add anything further to the current points tally – finishing with 42 points in a lowly 13th or 14th position. Perhaps acceptable considering the slow start to the season but disappointing given the turnaround by the end of the year. In fairness, the Hammers were easily the better team last week’s game at Old Trafford and it was only shocking refereeing that denied all three points. It would be nice to think that such injustice will disappear in a post VAR world but we will have to wait and see how playing field levelling it is in practice. Although I welcome VAR in principle I do wonder what impact its implementation will have on the continuity of the game. It is not a stretch to imagine every significant decision being challenged by furious players and managers demanding that the referee consult VAR. TV will love it as it introduces additional cliff hangers into their coverage, to be milked (and sponsored) to the extreme. During the week I watched highlights of the Juventus – Ajax game and almost half the coverage was taken up with pending VAR decisions. Bringing simplicity and clarity back into the game, particularly for offside and handball offences, would be especially welcome for me. Perhaps AI can provide a better solution for catching offside under the current rules than the linesman can, and should replace him/ her altogether. It is impossible to know what to expect from West Ham today. The only half decent performance in recent weeks was the one at Old Trafford, tellingly against an opposition that were prepared to concede time and space for the Hammers to play. Leicester are unlikely to repeat the favour; especially if they have done their homework and identified how difficult we find it to cope with energetic teams playing with high intensity. With the season almost at an end it would be refreshing if Manuel Pellegrini mixed things up a little and maybe tried different options to preserve the team’s shape. There is a longish list of players who surely have no future at the club beyond this season, so why not have at least three or four youngsters included in the match-day squad instead – even if they are not to be starters. If reports that both Manuel Lanzini and Samir Nasri are unavailable are true then it leaves a big guileless hole in the attacking midfield areas. I think most of us were moderately pleased with last year’s summer transfer activity but it hasn’t really worked out to plan – notably due to long term injuries to Andriy Yarmolenko (unfortunate), Jack Wilshere (not unexpected) and Carlos Sanchez. The signing of Lukasz Fabianski was inspired, Felipe Anderson is an exceptional talent that needs greater consistency, Fabian Balbuena was a steal (sorely missed during his absence) and Issa Diop has had a great first season (and should be back in the starting eleven now). There are plenty of rumours already regarding upcoming transfers but we will have to wait and see what the size and nature of the investment is going to be. I know it is speculation but I wince every time I see a link to players approaching or past 30 years old. If there is any ambition it won’t be achieved through maintaining that ‘make do and mend’ policy. Does anyone can remember the Johnny Cash song One Piece At A Time; that is how I perceive our team building approach over the years – collect together random pieces and hope that they somehow fit together. Up at Leicester they seem to have been much smarter investors. It is three years since their fairy-tale Premier League win and they now boast an almost entirely new team having cashed in on Kante, Mahrez and Drinkwater. With a third new manager in as many years they have put together an energetic young squad that puts them in a far better position for the future than our own crop of players. Naturally, the rich clubs will be circling with their eyes on Maddison, Chilwell, Maguire and Tielemans to supplement their Champion’s League benches, but it is not a bad position to be in. Still with today being the easiest of their four remaining matches I don’t see the Foxes hanging on to 7th place, where they may be overtaken by each of Wolves, Watford and Everton. There is a difference of opinion between the pundits today with Lawro predicting a 2-1 home win and Merson opting for a 1-3 away success. Personally, I don’t believe we will get anything out of the game with Ndidi, Maddison and Tielemans able to dominate the midfield and create sufficient goalscoring opportunities for Vardy & Co to do the damage against an overworked Fabianski. The other three clubs competing for 7th have all visited the London Stadium and won rather comfortably with moderately aggressive and committed performances. That is also the most probable outcome from today – sad to say, but the game has the look of a 2-0 home defeat about it. West Ham visit Old Trafford. Two of the most out of form teams in the Premier League for our tea-time viewing. Once again we kick-off at a non-standard time – this one is 5.30pm on a Saturday afternoon. We get the chance to watch two teams whose recent form leaves a lot to be desired. At this stage of the season you need to have some form of motivation to perform at your best, and I’m afraid we are somewhat lacking at the moment. OK, the performance against Chelsea was better than what we witnessed against Everton a couple of weeks ago, but to be quite frank, after the raised hopes of our winning streak in December, 2019 has turned out to be rather flat. The difference today is that Manchester United still have a target to aim for, namely a place in the top four and the Champions League qualification that comes with it, whereas we don’t really have much to get us going other than professional pride, and trying to finish in the top half of the table. Our manager wants us to improve with every game and believes that “we still have a mathematical chance for Europe and we must try for that.” Who is he kidding? Mathematical, yes, but realistically no chance whatsoever. If we win today (and that’s a massive if, around 7/1 with bookmakers but surely the odds should be much greater than that!) it would be the first time that we’ve picked up six points in a season against the Red Devils since 2006-07, when they were champions, and we completed the “Great Escape” on the final day of the season. We won both games that season by 1-0, with Nigel Reo-Coker scoring in the home win a week or so before Christmas, and of course Carlos Tevez netting the winner in the last game. That was a season to remember; Tevez and Mascherano, Eggert Magnusson, Pardew sacked, Curbishley appointed, seven of the last nine games won after just five wins in the preceding 29 games, and of course the subsequent financial repercussions of the escape. But today we don’t have a lot to play for. Our record against United is actually better than against many of the other big clubs, and the last eight league meetings are split with two wins apiece and four draws. However our last league win there was the aforementioned victory on the last day of the season almost 12 years ago. Despite their impressive form when their new Norwegian manager was appointed on a caretaker basis, recent results have not been good for United, and they have not kept a clean sheet for eight games, their longest run for seven years. They have also lost four of their last five games. But just look at our away form since 30 December 2018. There was the abysmal defeat to AFC Wimbledon, and in the league on our travels we lost 2-0 to Burnley, 2-0 at Bournemouth, 3-0 at Wolves, 1-0 at Manchester City, 2-0 at Cardiff, and 2-0 at Chelsea. That is six games lost with 12 goals conceded and none scored. In between we did manage a 1-1 draw at Crystal Palace, but had Fabianski to be thankful for that, as Palace had numerous shots on our goal in the second half. Our record of keeping clean sheets is the second worst in the division with five, and only Fulham have kept fewer. Even Huddersfield have kept more clean sheets than we have. Fabianski is miles clear in the number of saves he has made this season compared to every other Premier League custodian, so this tells us everything we need to know about our defending. And to top all this we are facing Romelu Lukaku who scores goals against us for fun. I’ll be watching and hoping for a surprise of course, but it is hard to see anything other than a defeat as our season limps towards its conclusion. 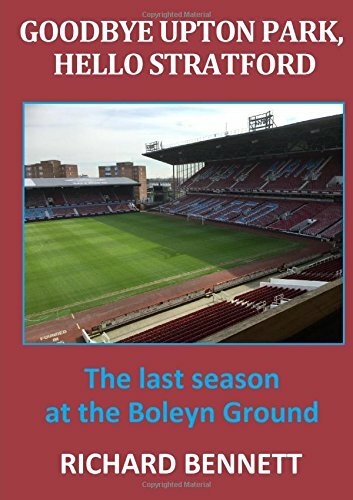 Author Richard BennettPosted on April 13, 2019 April 13, 2019 Categories Match, News, PreviewLeave a comment on West Ham visit Old Trafford. Two of the most out of form teams in the Premier League for our tea-time viewing. Uninspired, unbothered and unmotivated, the odds are stacked high against the lacklustre Hammers recording a whip-crack-away win! As West Ham prepared to take the field for last week’s game against Everton they knew that victory would have taken them up to 7th place in the Premier League and potentially eliminated one of their rivals in the race for potential Europa Cup qualification. It was a scenario more than should have provided more than sufficient motivation to a side which had, until recently, been enjoying a good positive spell at last at their home stadium. What we got instead, however, was quite possibly the most abysmal performance of the season so far – even allowing for the fact that the bar isn’t set particularly high. In truth, for all the optimism that might have existed, performances since the victory over Newcastle have been consistently poor – with the fortunate win over Huddersfield serving to disguise an overall malaise. From potential ‘best of the rest’ to probable bottom half finishers would deliver a disappointing and underachieving season. All things being equal it would be no surprise if the Hammers bagged ‘nul points’ from the six remaining games against more skilful, better organised and more committed opponents. Finishing below Crystal Palace is now a definite possibility unless an unexpected turnaround in attitude and application occurs. Compared to the teams left competing for 7th spot (Wolves, Everton, Leicester and Watford) the Hammers resemble a collection of barely introduced individuals and a far cry from a team with structure and purpose where each member is aware of the roles they play, both on and off the ball. Intensity, pace and a compact shape are fundamental to modern Premier League football and none of these have been consistently demonstrated at West Ham over the course of the season. Manuel Pellegrini and his coaching staff must take a huge slice of responsibility for the way the situation has developed. Admittedly it is still a relatively new regime but if they do not have the players to execute their preferred style then they need to adjust the style to suit the players; at least until better options can be recruited – hopefully, from a recruitment policy that steers well clear of the over 30’s and the perpetually injured. The full-back situation is a prime example of square pegs and round holes. None of the current candidates have been performing at an acceptable Premier League standard and yet the setup of the team allows opponents acres of space down the flanks as the full-backs push up there is minimal support from the midfield or attacking wide men. No wonder so many opposition goals come from these areas and that Lukasz Fabianski is the most overworked keeper in the division. The emergence of Declan Rice has been a massive bonus for West Ham but he cannot do it all by himself. The need for better options in the centre of midfield has been obvious for several seasons but has been regularly overlooked unless you want to count the signing of Carlos Sanchez. Games are so frequently won and lost in this midfield battleground that the strategy verges on negligence. When West Ham do gain possession they seem unable or incapable of moving the ball forward quickly. Instead they prefer elaborate, congested triangles which invariably lead nowhere or to lost possession. Several current players are simply not cut-out for the type of quick, intricate passing moves that may have worked well at Manchester City. With Felipe Anderson going through an enigmatic phase, the most creative player available to Pellegrini is Samir Nasri but he is another who is susceptible to injury. It is reasonable to reserve judgement on Manuel Lanzini for the time-being, given the serious nature of his recent injury, but elsewhere possession is ponderous and predictable. The post new year dip in form coincided with the injury to Fabian Balbuena and the Marko Arnautovic transfer farrago. With Balbuena now restored to fitness, surely it is time to reform his partnership with Issa Diop in the centre of defence. The options up front are far less clear cut. Arnautovic’s attitude is all wrong, Javier Hernandez does not contribute enough off the ball (the concept of leading the line is not in his playbook) and Lucas Perez is hopeless. Fielding a tailor’s dummy couldn’t be much worse than having Perez on the pitch. Impossible to predict where Pellegrini’s lucky selection pin will land tonight although we might not get close enough to the Chelsea goal for it to be a problem. The West Ham season is effectively over. Turn up and go through the motions is likely to be the sum total of what to expect. We can only hope that plans are already underway to load up the Deadwood Stage and steer it out through the transfer window into the wilderness. Too many of the occupants have been over-the-hill for some time..
Now that Sarri has realised he has two more gems available to him in the form of Reuben Loftus-Cheek and Callum Hudson-Odoi, Chelsea have a wealth of attacking talent to call on – even if they have no established clinical finisher. Add in any combination of Hazard, Kante, Jorginho, Barkley, Willian and Pedro and there is more than enough firepower to overwhelm whatever resistance West Ham take with them. The hosts can be vulnerable at the back, but see above to understand how West Ham’s attacking limitations are unlikely to cause any panic. On paper, with Chelsea able to climb up to third by the end of the day, it all looks far too formidable to the West Ham team of recent weeks. A repeat of the rear-guard action witnessed in the corresponding fixture at the London Stadium (and more recently on show at The Etihad) is the most probable game-plan; but once the wall is eventually breached it will be game over. West Ham will be meeting referee Chris Kavanagh for the fifth time this season. Previous encounters resulting in a win over Newcastle, defeat to Wolves and draws with Huddersfield and Brighton. Unsurprisingly, the pundits see a comfortable home win – Lawro by 2-0 and Merson by 3-0. Equally, I can see nothing more than a solid defeat unless we can miraculously hold out for 0-0. The only mitigation against heavy defeat, by three or four goals, is if Chelsea ease up a little once ahead with their Europa League trip to Prague on the near horizon. I imagine each of the three Top 4 hopefuls that the Hammers have yet to face will already have the game pencilled in as a gimme! West Ham visit Stamford Bridge. Are our players already on the beach? A couple of weeks ago I renewed my season ticket for next season. 2019-20 will my 62nd season of following West Ham. How many hundreds of games have I seen in that time? Why do I do it? Am I a masochist? I knew a masochist once who liked to take cold showers. So he took hot ones. But seriously why do I spend half a day or more so many times each year travelling to watch 90 minutes of football? What’s more there are 60,000 others who do the same to watch West Ham, as well as countless others throughout the country, and indeed the world, that want to know what happens to the team in every game. And this is replicated to a greater or lesser extent by followers of 19 other teams in the Premier League, as well as millions who follow teams throughout the pyramid of the English game. I guess we love to watch football, but more than that we want to see our team win games and be successful. Of course, the best I’ve seen from the team in the last 61 years has been a third place finish in the top flight in 1985-86, three FA Cup wins, a major European trophy, and countless great games of football with lots of entertainment and great goals. I’ve also seen a lot of dross. In many ways, one of the most enjoyable seasons was in 1980-81 when, a year after lifting the FA Cup as a second division side, we ran away with the second division league title with a record points haul and a home record to die for, winning 19 of our 21 league games at Upton Park. After losing our first home game that season to Luton, we won every other game apart from a home draw against Oldham. We all came away happy after every game. Other seasons outside of the top flight have given us some great entertainment, with more games won than lost, and probably a much better feel good factor about our team. Yet all teams want to dine at the top table. They all strive to be part of the Premier League, possibly the most successful domestic football league in the world. Of course money is a big factor, as well as the opportunity to see some of the top players playing for the top teams. Ironically the Premier League is one of the most competitive amongst the major leagues in Europe. I say competitive meaning that probably six teams have a chance of winning it each year. Compare this to Germany, France, Italy and Spain, where only one or two teams have any chance each season. Some might say that is true of the Premier League this time around where the second placed team (Manchester City) are currently 16 points clear of Tottenham who are third. Similarly there is a wide gulf between Manchester United in sixth who are 14 points ahead of the team who are seventh. Where is the fun in the fact that at the start of the season 14 of the 20 participants have zero chance of winning the league, and four of the others have only a very small chance? OK I remember Leicester, but that was a freak season and will not happen again. I suppose I cannot really criticise the Premier League when the top six elite clubs are so successful in Europe this season. Four of them are in the last eight of the Champions League, and the other two are similarly placed in the Europa League. But this is entirely my point. The top six are too good. Wouldn’t we all like to see a competition that is more competitive which would lead to much greater excitement? Unless your team is still in the FA Cup, the final third of the season becomes very dull with little to play for. Of course there is money for placings in the league but that only seems to interest the club owners, not those actually in the team, who if West Ham’s players are anything to go by are already thinking of their summer holidays, rather than professional pride, and entertaining the thousands who come to watch them. The performance against Everton last week lacked effort and desire, and was feeble, abysmal, appalling, very bad, awful, dire, ghastly, atrocious, hideous, dismal, terrible, maddening, disgraceful. Add any other description you like. We would have been seventh in the league if we had won the game, yet quite frankly, apart from Fabianski and Rice (perhaps Ogbonna?) none of the others turned up or seemed remotely interested. Even the manager, who I quite like, cannot escape criticism with his team selection, surely? Seventh would mean the best of the rest (outside the elite six). Surely that is something worth playing for? The owners must have been cringing in their expensive seats as they watched the team doing their level best to reduce the interest in season ticket renewals. And while we were struggling against Everton, and fans were leaving in droves well before the end, Chelsea, our opponents today, were not faring much better against struggling Cardiff. The South Wales club outplayed their more illustrious opponents from West London, yet the result of the game was inevitable somehow as it always seems to be when a top six club plays against a lowly side. Chelsea won the game thanks to some incredible decisions by officials, including an offside as blatant as the one for Liverpool’s goal at the London Stadium a couple of months ago, both of which left you feeling that the top sides somehow always seem to benefit from questionable decisions. It never seems to be the other way around. The result of the game highlights my point about the wide chasm between the teams at the top and those at the bottom. The record for the elite six teams playing against the bottom three sides this season so far reads, played 31, won 31, goals for 90, against 18. Watford, just a point away from seventh place, have now lost nine consecutive games against the top six sides. What chance will they have in the FA Cup Final? Wolves, however, the team most likely to finish seventh, are doing their best to disprove my theory with four wins and four draws (and just two defeats) against the top six, whilst even our own team performed creditably (at home at least) against Manchester United, Chelsea, Arsenal and Liverpool. What will happen this evening? Another “bad day at the office” like the one we witnessed last week will see us beaten easily, even by a ‘relatively poor’ Chelsea side, who nonetheless are 21 points better off than we are, and still in the hunt for a Champions League place next season, helped by Arsenal’s loss at Goodison Park yesterday. In just over a week we have gone from a team who could have gone seventh in the league, to a team now in the bottom half, four points (and a poorer goal difference) adrift of the tenth placed side. With nothing other than pride and place money to play for, even the most optimistic among us find it hard to envisage anything other than a defeat tonight. It would be great to see the players turn it on for our fans who make the trek across London, and those watching on TV, but the bookmakers’ odds showing Chelsea at 4/1 on, and West Ham 9/1 against to win the game are a pretty fair reflection of what is likely to happen. Chelsea have only lost one of their 16 home league games to date. At Stamford Bridge they have beaten Arsenal, Tottenham and Manchester City, and drawn with the other two elite teams, Manchester United and Liverpool this season, so what chance do we have of doubling their home defeats figure? Their only loss at home was against Leicester. I’d love us to do the same as the Foxes, but I won’t be holding my breath.